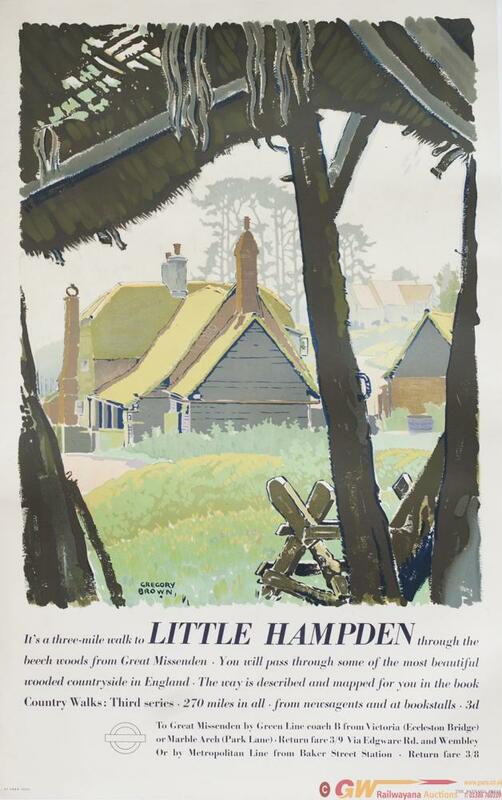 Poster London Underground/Greenline Coaches LITTLE HAMPDEN by Gregory Brown, dated 1937. Double Royal 25in x 40in. In very good condition mounted on linen.